The Garage Spa! Out of all the places on my North East Bucket List, the Garage Spa has been up there at the very top since before I relocated. I've read dreamy reviews, seen endless blog posts and have frequently lusted over the website. I've been wanting to go for the longest time! 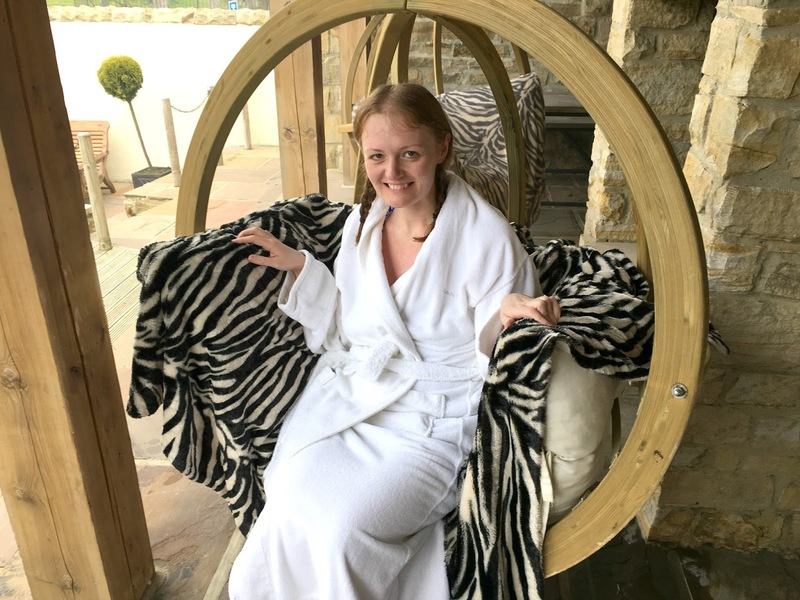 Last week my dreams came true, and as a little post-birthday treat Simon and I did the hour drive from Newcastle to the Garage Spa for a day of pampering, chilling out and enjoying each others company without the constant buzz of phones. 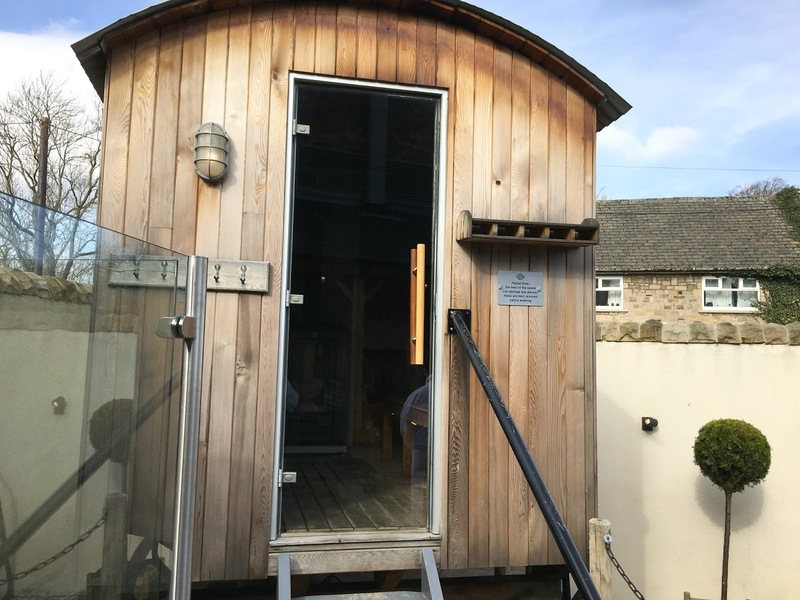 The Garage Spa is hidden away in the little village of Greta Bridge, just outside Barnard Castle in County Durham. Attached to The Morritt Hotel, it's a rural heaven and the perfect place to go to escape from the stress of every day life. 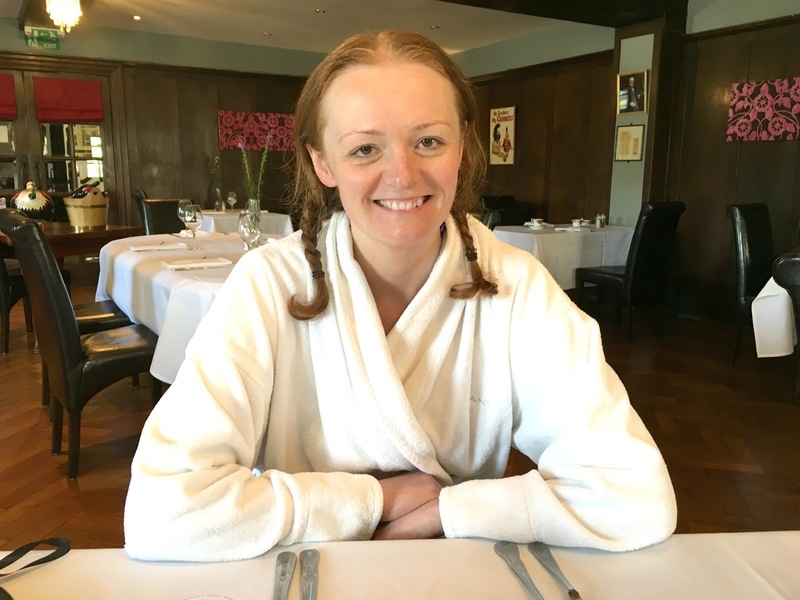 It was Simon's first ever trip to a spa and I was a little nervous to see how he would find it and, not wanting to pile too much pressure on him, but only a day earlier we'd booked ourselves a romantic luxury spa minimoon after our wedding in September. Any worries I had immediately faded the moment we walked through the door of the Garage Spa. We were given a lovely warm and friendly welcome and shown to the Relaxation Lounge to fill in our forms. The beautiful light room was full of huge comfy armchairs and squishy cushions, and I knew that we were in very good hands. I've been to a fair few spas before but none of them have made me feel as relaxed and comfortable as the Garage Spa. After a brief tour we were shown to our lockers where we both had a giant sized fluffy white dressing gown to snuggle into, warm soft towels and flip flops. I was really impressed by the changing facilities where you get a private little room complete with shower and toilet to get changed in. No scrabbling for space or having to take your clothes off in front of strangers - brilliant! We arrived at the Spa just after 9:30 am and there were only a handful of other couples in the spa. I'd definitely recommend getting yourself there first thing to enjoy some uninterrupted peace and quiet. The Garage Spa is small but there are plenty of experiences to explore and it's the perfect size to enjoy a gossip filled day with the girls or some romantic time with your other half. Our first stop of the day was the Shepherd's Hut Log Sauna. It was pretty romantic sitting in the snug little hut and we had a lovely time dreaming about our minimoon whilst relaxing in the warmth. 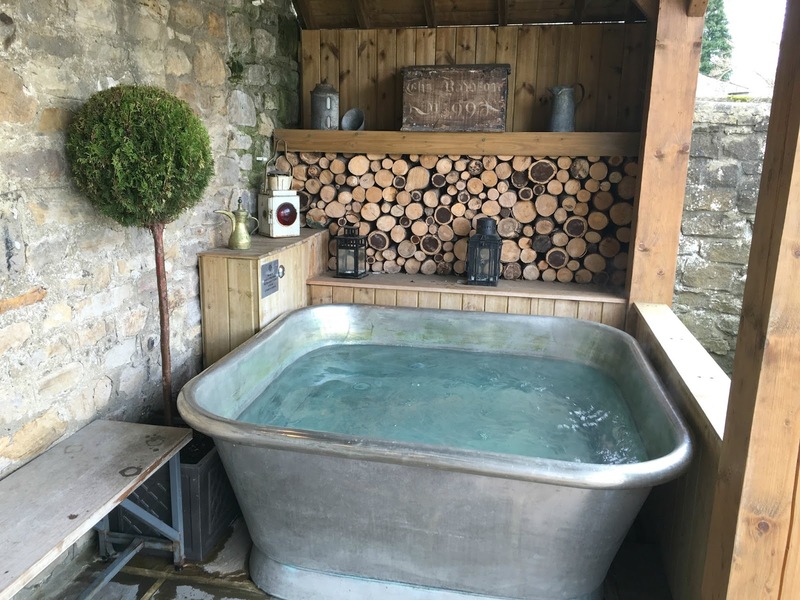 There are four indoor wine barrel hut tubs to enjoy with a hydrotherapy tub, hot relaxing bath tub and, if you're feeling very brave, a plunge tub. There was no way I was going to be dunking myself into cold water but Simon was a great sport and climbed in, giving me a little giggle at his shocked face when he resurfaced. Our favourite part of the Garage Spa was the Secret Garden. We were blessed with a beautiful sunny Spring day and it was just about warm enough for a little lounge on the hammock chairs. I can imagine that in the hot Summer months the Secret Garden must be very popular. As a birthday treat Simon booked me a treatment in the Body Shop so that I could get the full Garage Spa experience. The Treatment Menu is extensive with plenty to choose from. The facials sound fantastic and there are also wraps, body scrubs and polishes to enjoy. If you're at the spa with your other half then the Rasul Mud Treatment sounds very tempting. Simon booked me a 40 minute Indian Head Massage and I was thrilled with his choice. My treatment cost £45 and was so much more than I expected. As well as a lovely head massage the treatment also included a back, shoulder and neck massage. Our Spa Day included lunch with was booked at the next door Morrit Hotel at 12:00 pm. If you do book a package that includes lunch I'd definitely recommend taking it early as the spa is pretty quiet straight after lunch so you can take advantage. No need to get dressed we were escorted across to the Morrit in our fluffy dressing gowns, but don't worry there was no embarrassment as we were in our own separate room of the hotel. We were able to pick two courses but the starters never got a look in as for us it's always about the dessert. Vanilla Cheesecake was the winner of the day and we both ordered the same which we hungrily devoured in seconds. 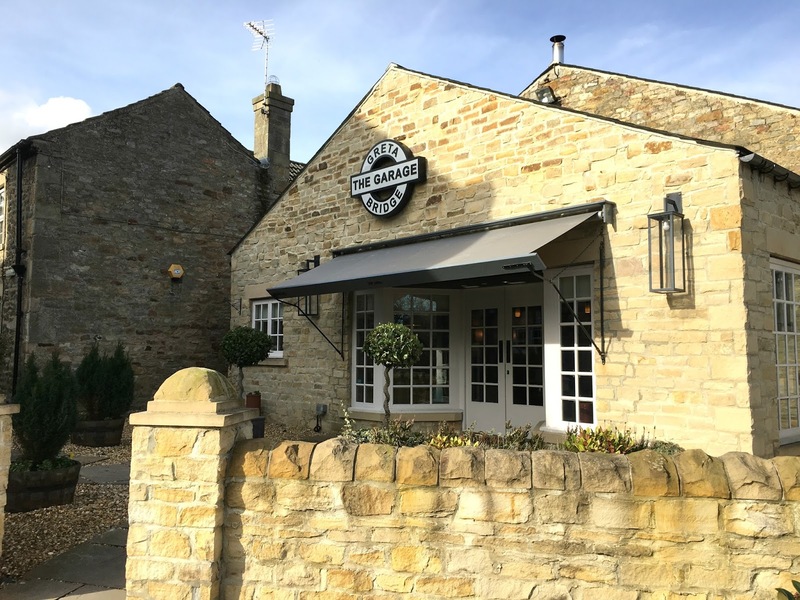 We both agreed that the food at the Morritt was gorgeous and far exceeded our expectations. Know that if food is included in your spa package you will be in for a treat! The highlight of our visit to the Garage Spa was the outdoor hot tub in the Secret Garden, so after lunch we decided to spend a little time together there before heading home. Lounging about in a giant tin bath enjoying the bubbles and feeling the nice cool breeze on our shoulders was bliss. We would have stayed in there all day if we weren't beginning to go wrinkly! Our last trip of the day was to the Ambient Light Salt Room where we sat for a good while hoping to feel the benefits to our asthma. Natural salt therapy is clinically proven relief for asthma and eczema which I suffer from. From inside the Salt Room we could hear that the spa was beginning to get a little busier so we decided to call it a day. I'd definitely say that come the afternoon there were a lot more people about so I highly recommend doing a morning session if you can. We booked our idyllic day through Red Letter Days with their deal of a Spa Day and Lunch for Two for £99 but there are also some great Spa Packages on the Garage Spa website including overnight spa breaks, half day packages, evening packages and even an afternoon tea package with packages starting from just £35 per person. All photos in this post were taken with my iPhone and I was very careful not to disturb the peace and quiet of the Spa! I love the Garage Spa. I've been a few times now and never tire of it! Last time we did the afternoon spa and overnight break with dinner, it was such a wonderful experience which I'd highly recommend. I definitely have my eye on an overnight package for next time! Love the couples deals as well where you get a private hot tub and therapy room! I hope you get there faster than I did, it was on my list for years before I made it! He loved it so much, he couldn't stop grinning! He was loving just chilling out .. I think a few times he wished I'd go away and leave him in peace! HA! I've read a few reviews on this place so it must be good! Nice that there's lunch available too and as you say, it's not just salad.. hate spas that offer just the 'healthy' option! What a fab deal as well. Wow, what an amazing looking place! I love a nice relaxing spa day. My Mum and I have been talking about booking one for months, we'll have to get a move on and try to find somewhere as nice as this but in between Inverness and Carlisle! This looks great! Need to visit a spa soon, I've never been to one!